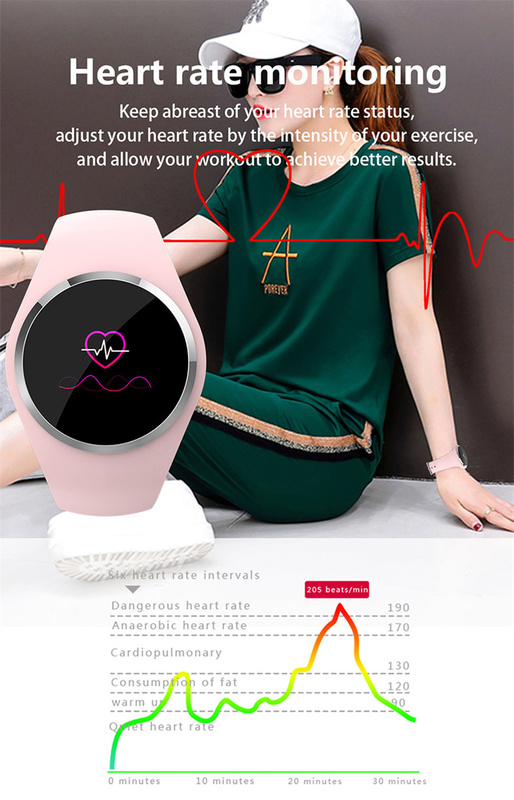 1.0 inch TFT LCD color screen, resolution 128*96, make the screen clearer.The device will display alert for text message, so information will not be missed. 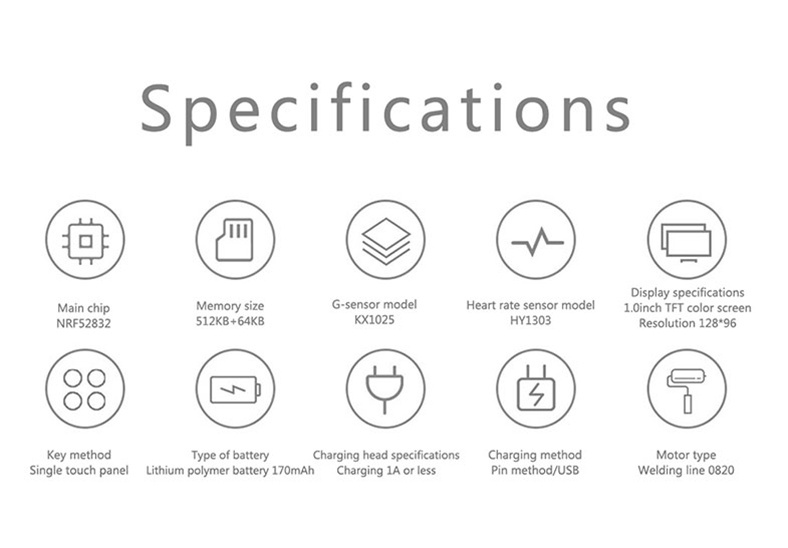 Built-in 170mAh polymer battery, 512KB+64KB memory. 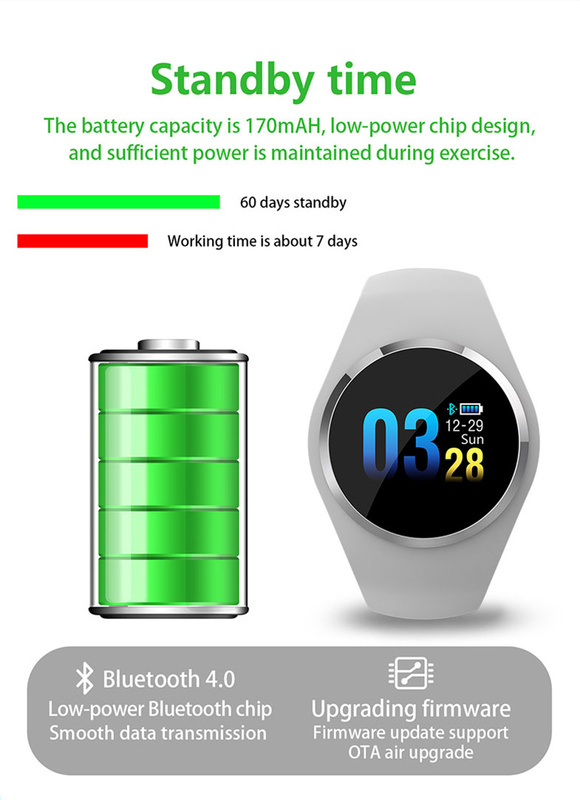 BT4.0, compatible with Android 4.4 & IOS 8.0 and above. 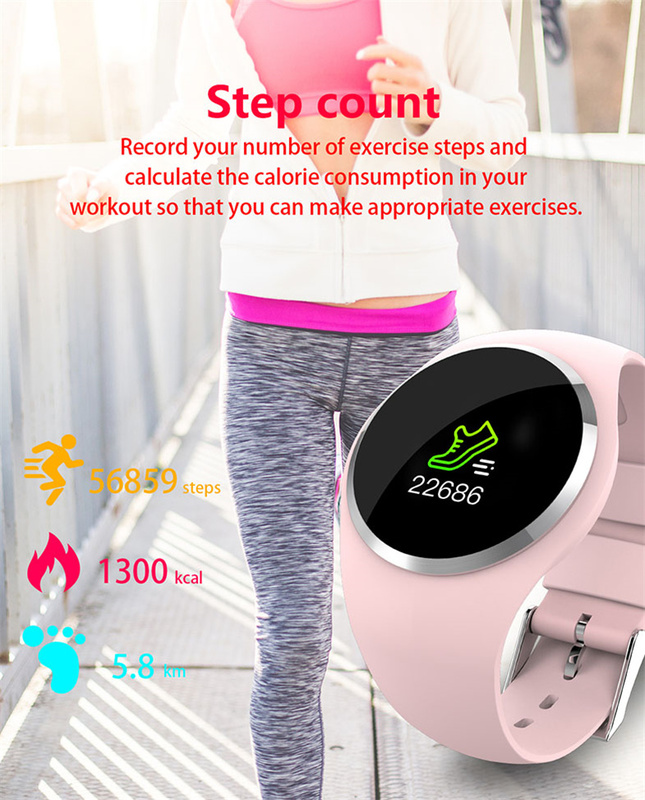 Sports Record: Step, exercise time, exercise mileage, calorie consumption, sleep monitoring, save 30 days of exercise/sleep data. 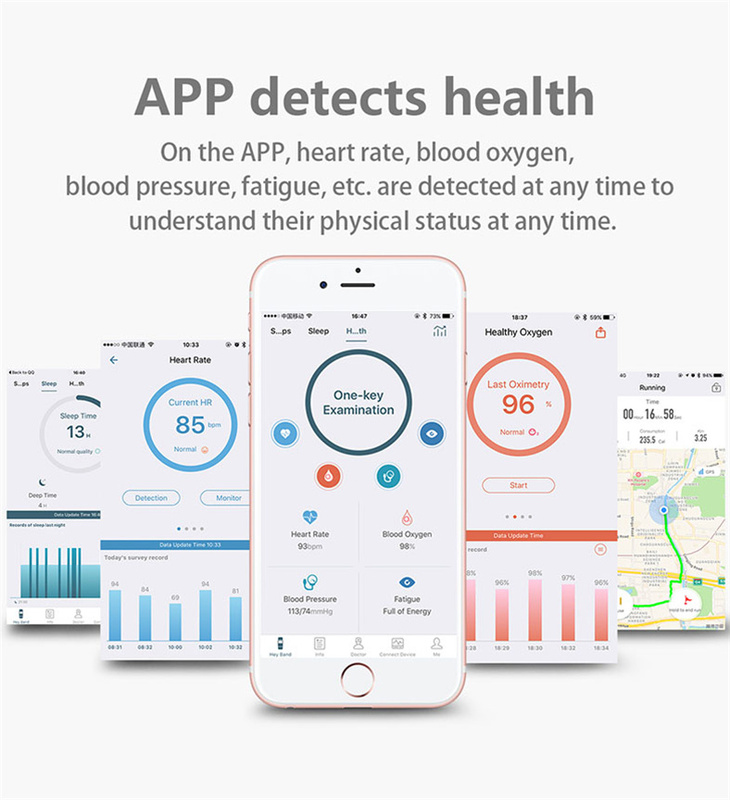 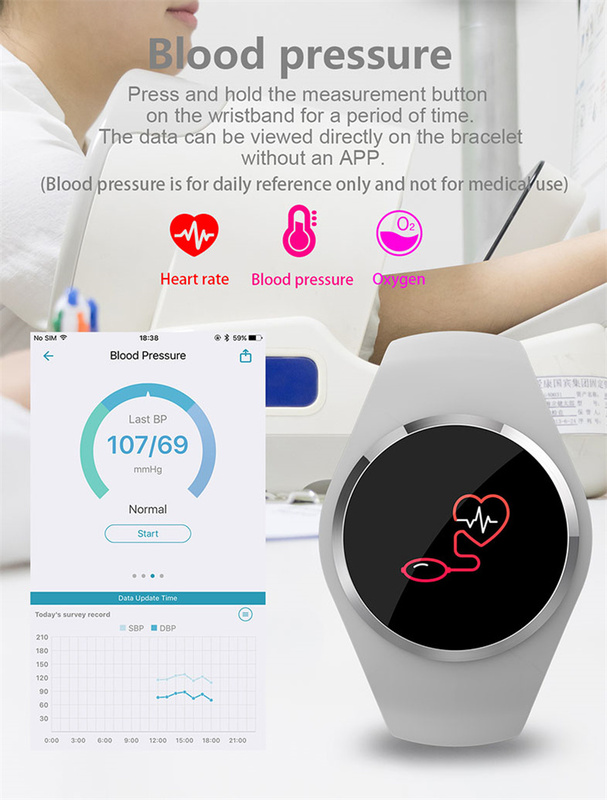 Health monitoring: real-time heart rate measurement (dynamic, static, heart rate +), blood pressure measurement (can set timing blood pressure measurement), blood oxygen measurement, fatigue monitoring. 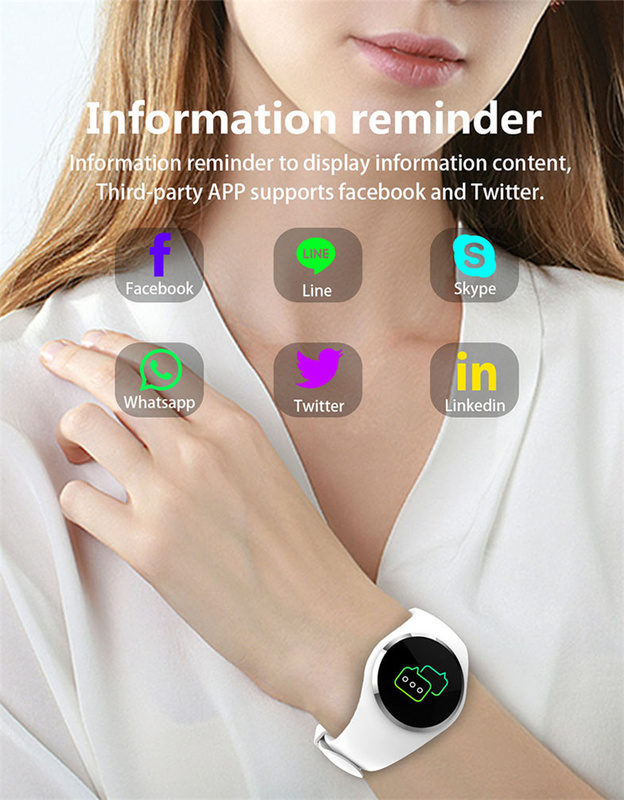 Smart reminder: Custom alarm reminder, drinking reminder, sedentary reminder, call reminder, information push, anti-lost reminder. 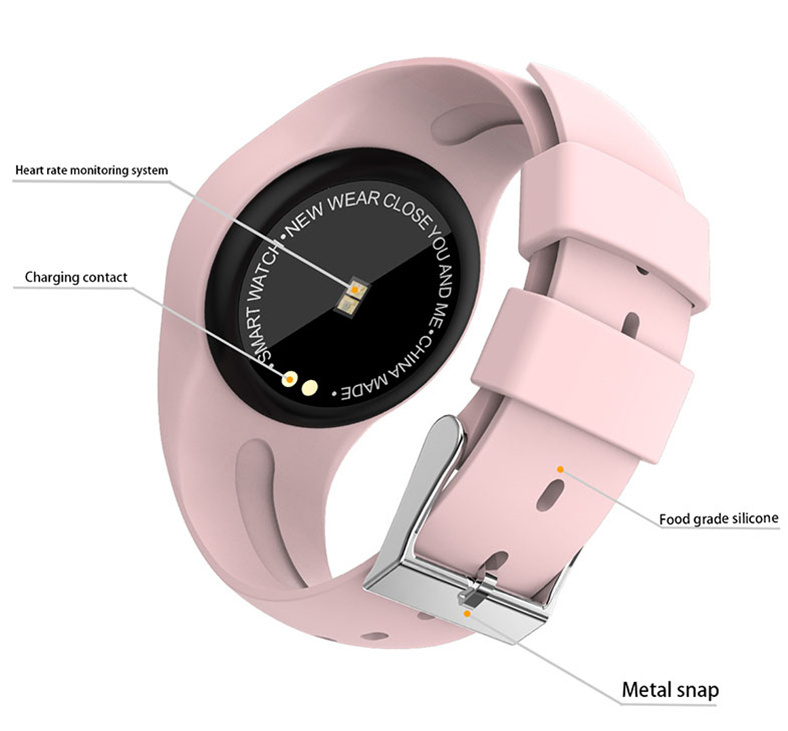 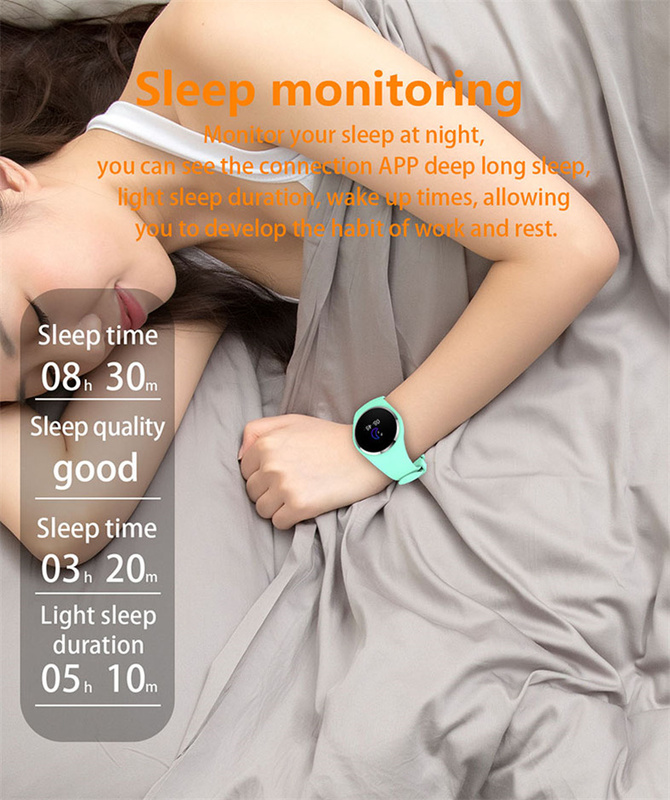 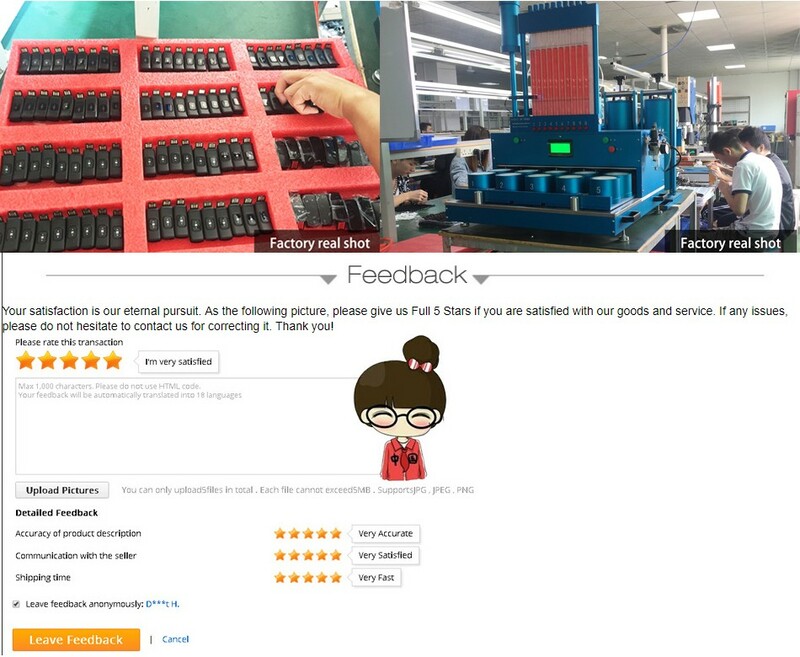 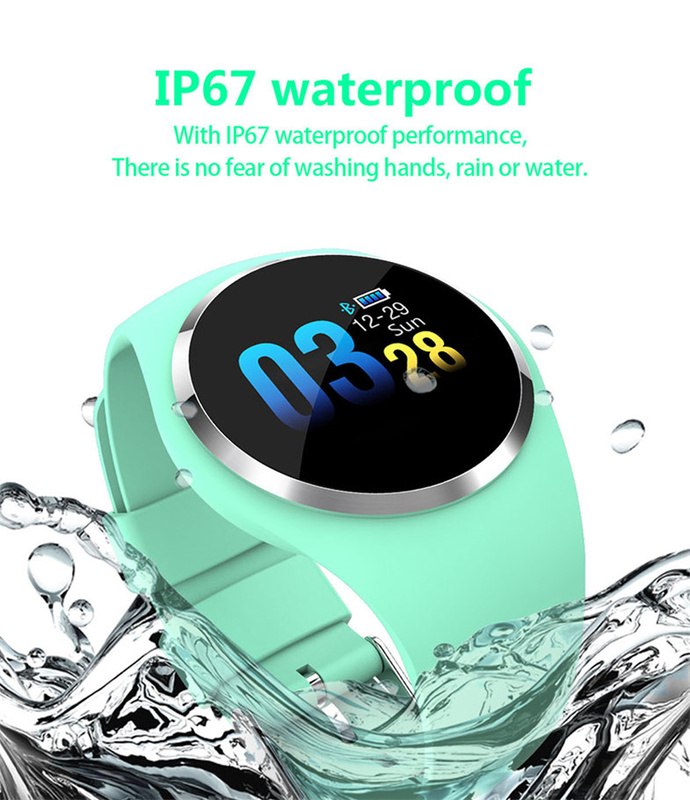 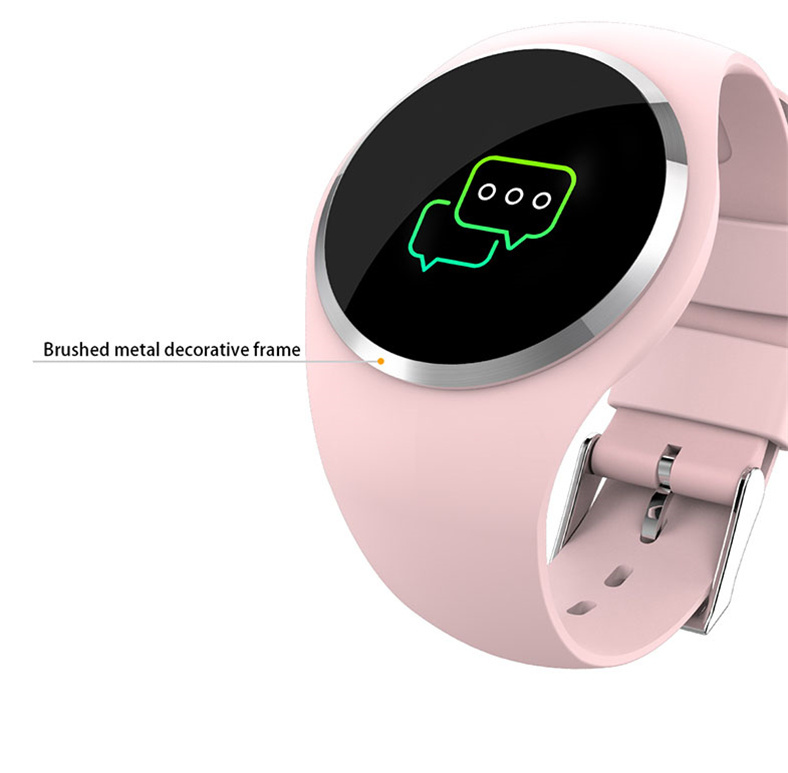 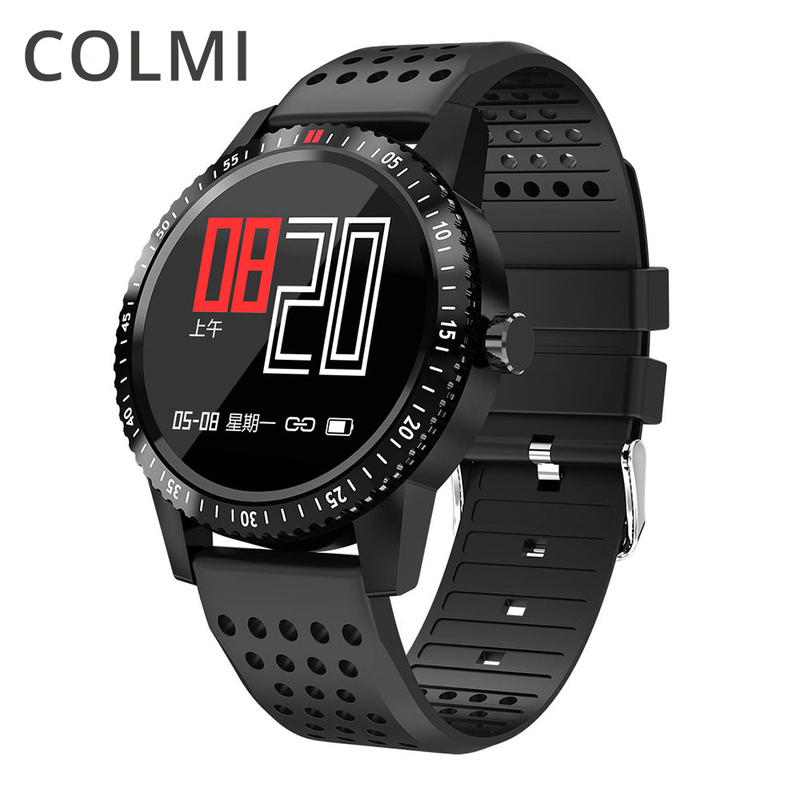 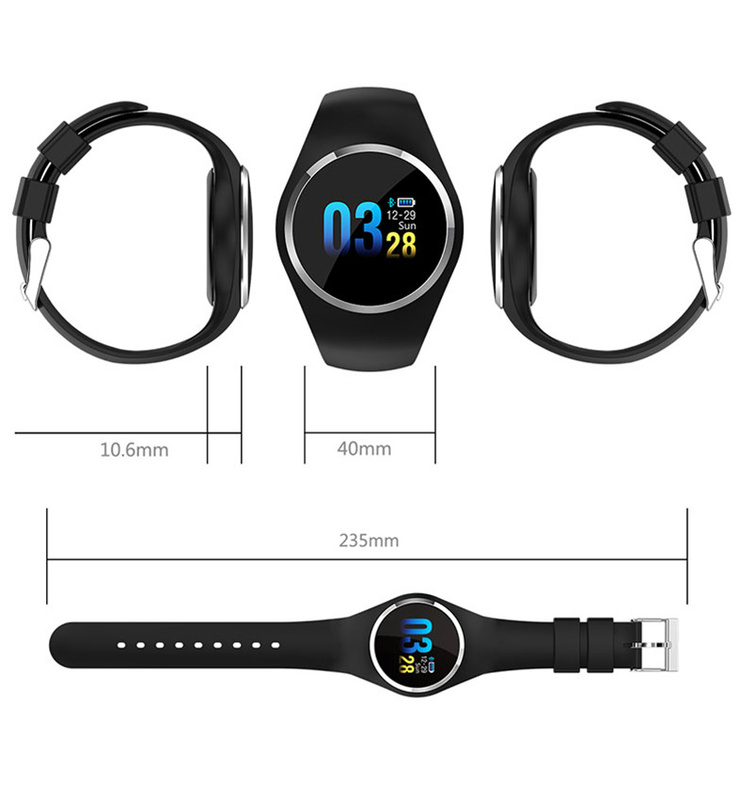 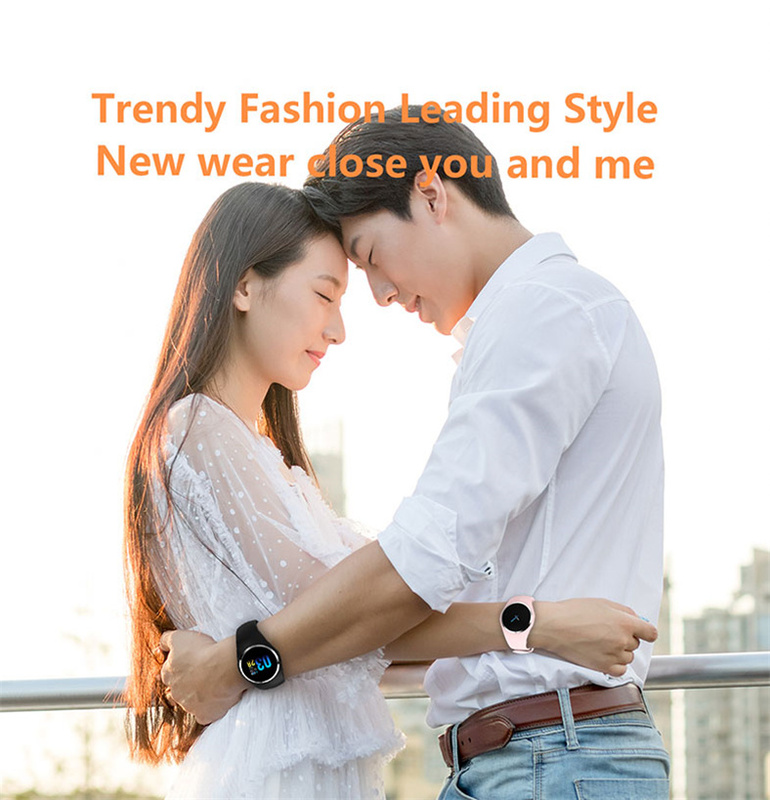 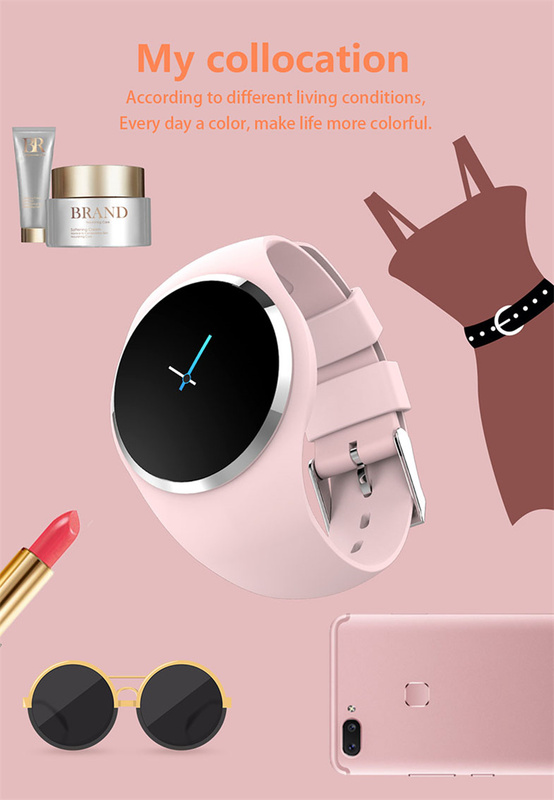 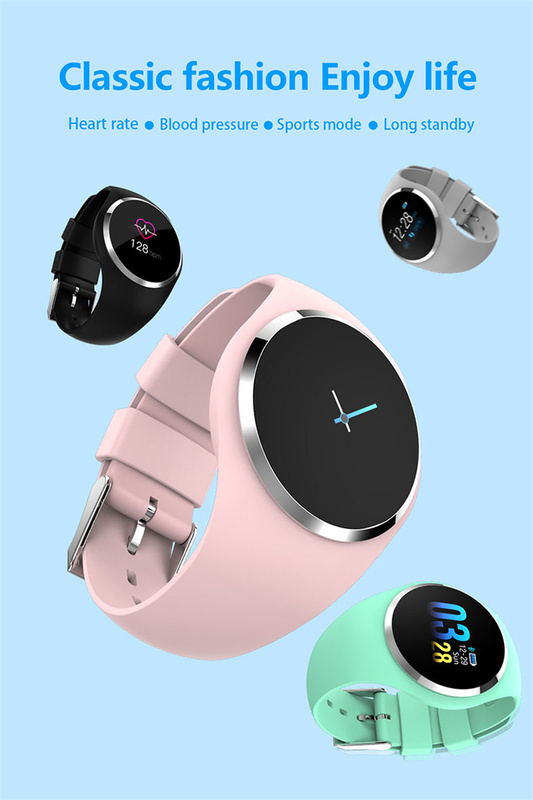 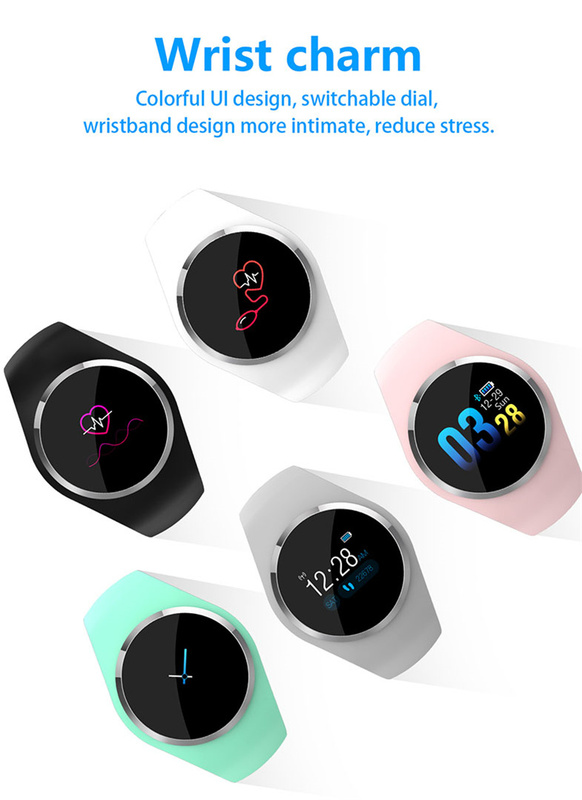 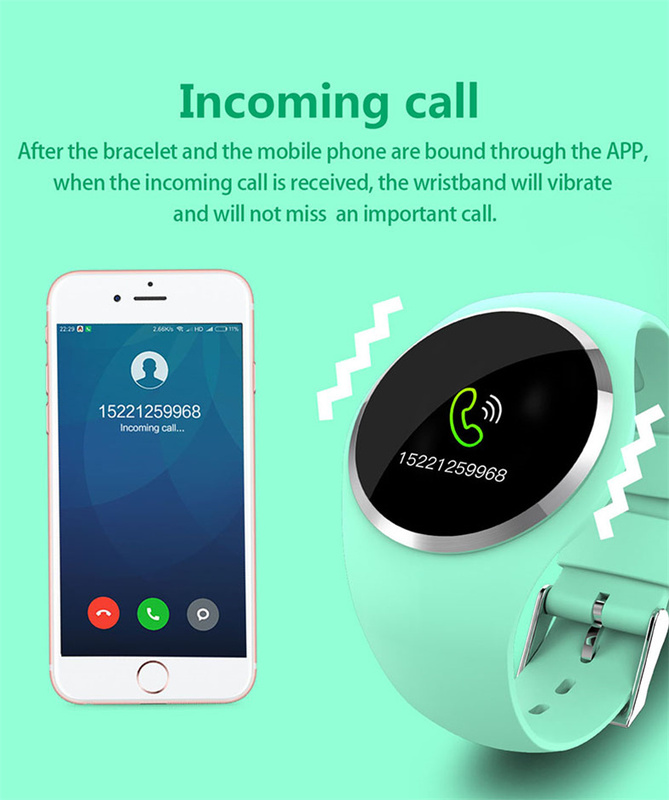 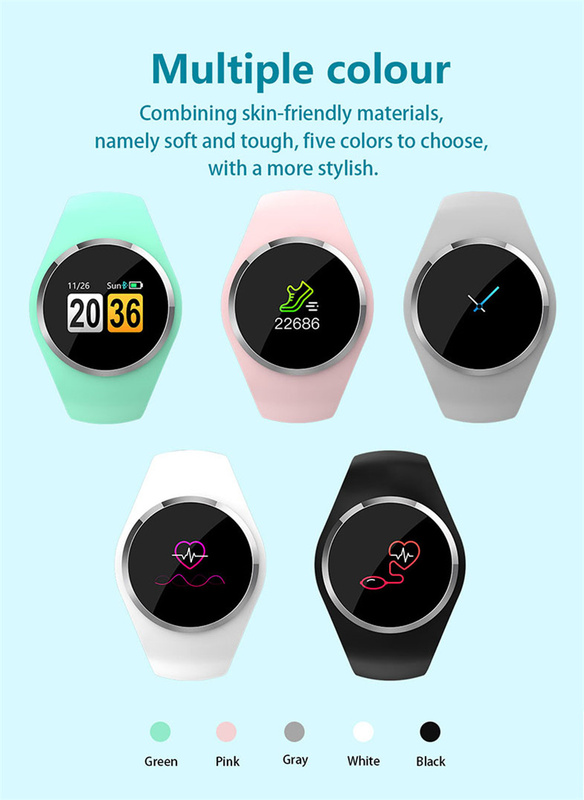 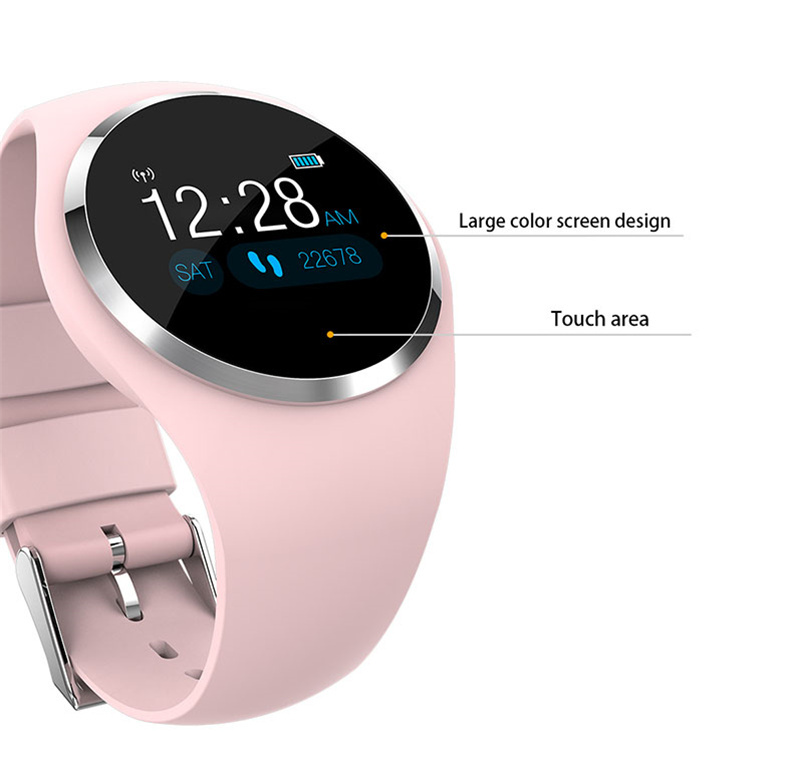 Other functions: Turn the wrist bright screen, one-button physical examination, time display, remote photography, do not disturb mode setting, find bracelet, WeChat sports, custom home style, bracelet reject phone, support APP air upgrade, personalized settings. 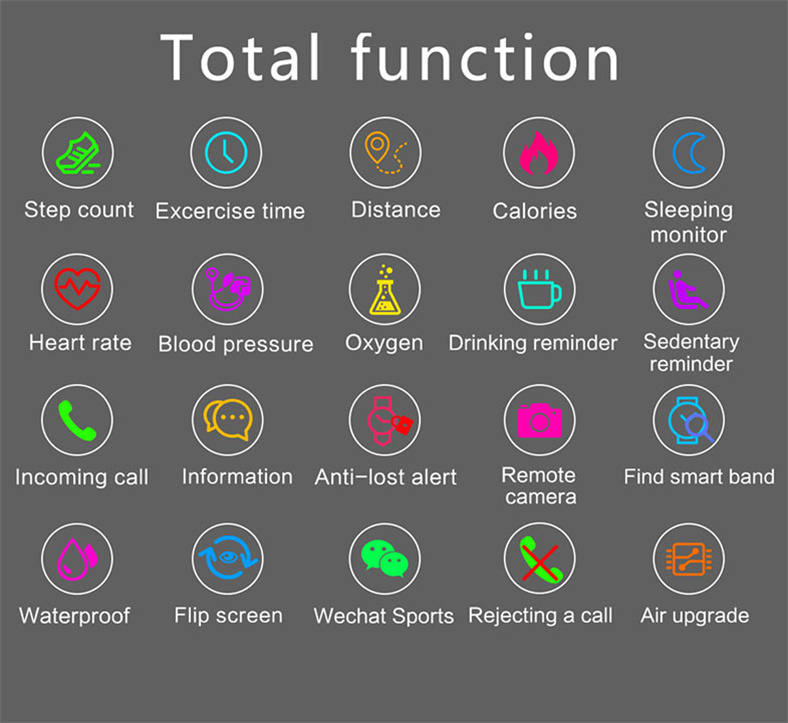 Language: Chinese, English, Japanese, Korean, Spanish, German, Italian, French, Greek, Turkish, Russian, Dutch, Portuguese.